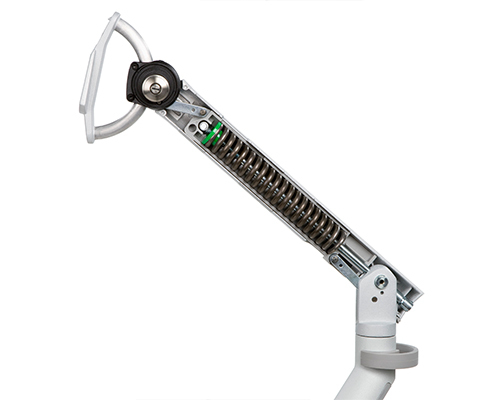 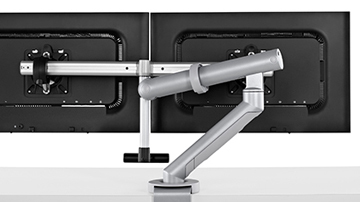 Designers: Colebrook Bosson Saunders Ltd.
With award-winning, patented geometric spring technology and fingertip control, the Flo monitor arm allows smooth, easy movement and adjustments to allow your screen to be positioned exactly where you want and need it. 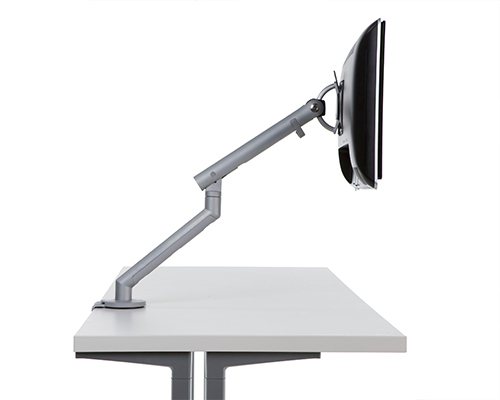 The range of motion is highly supportive of people's varied vision types. 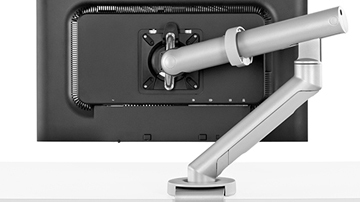 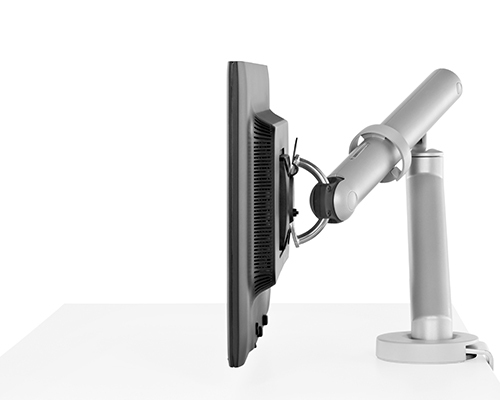 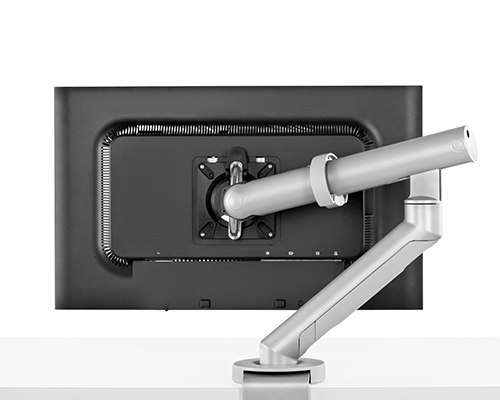 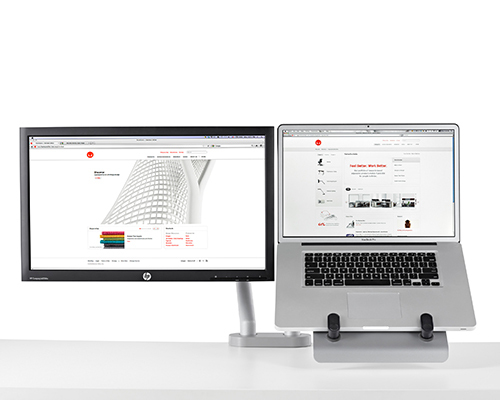 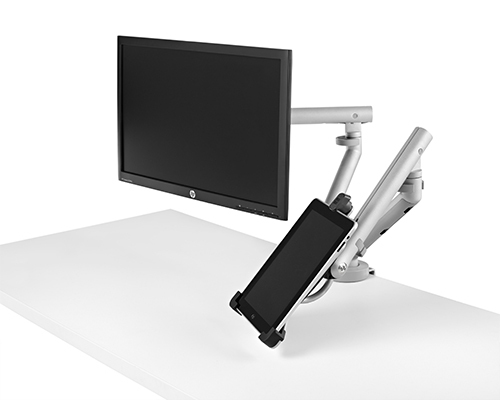 Supporting two screens from a single clamp, the Flo Dual is an expanded version of the Flo monitor arm. 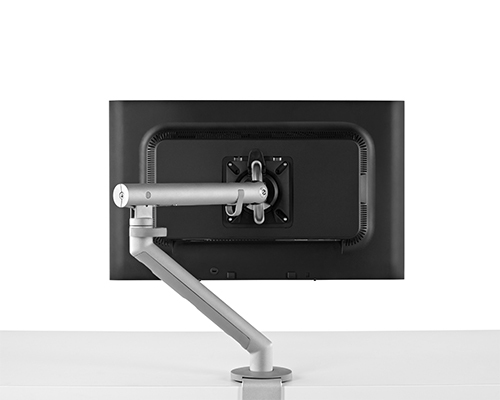 Supporting two devices from 3 to 9kg each, the two screens can be adjusted smoothly yet separately. 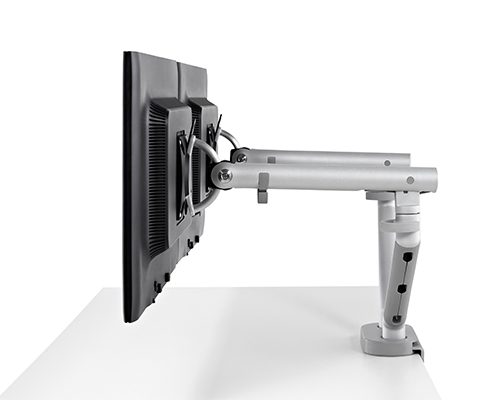 Maximising limited space, Flo Modular is a scalable monitor support, allowing excellent support for a mix of monitors and laptops from a single post. 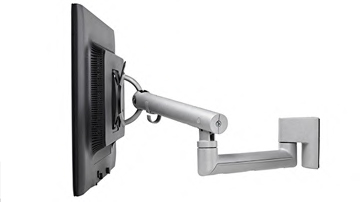 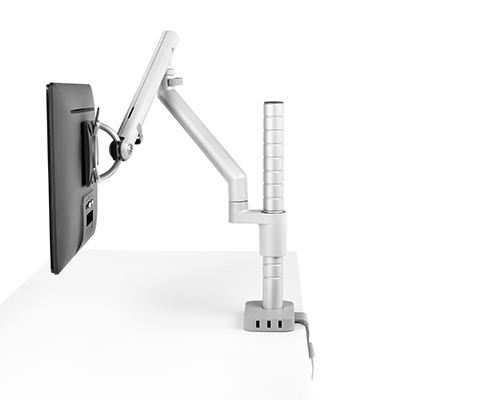 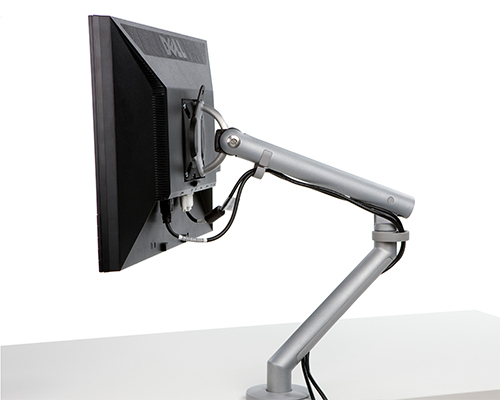 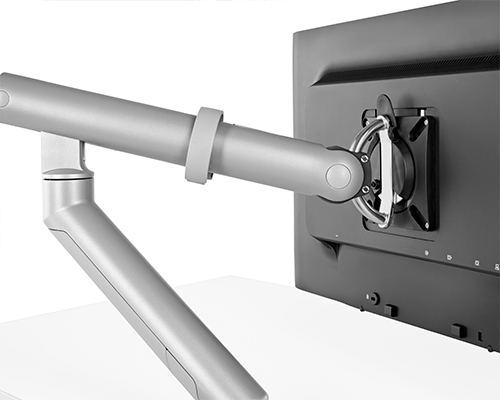 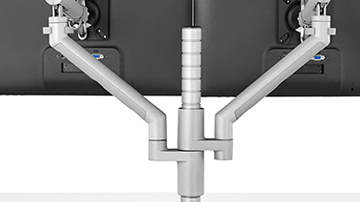 This heavy-duty version of the Flo monitor arm offers easy adjustment for heavier monitors or an all-in-one ranging from 9 to 18 kg. 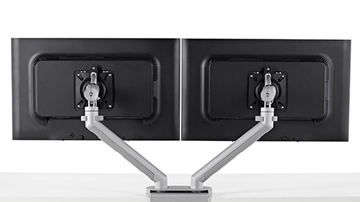 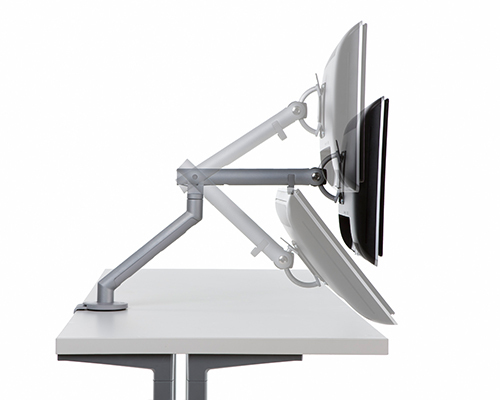 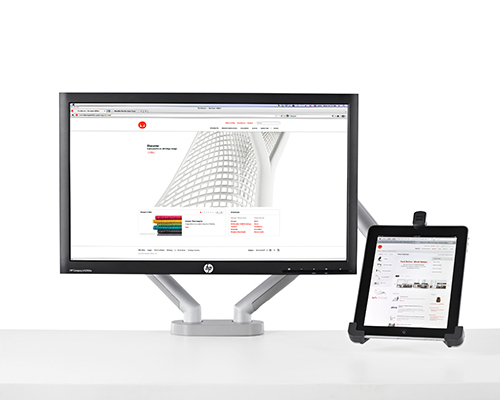 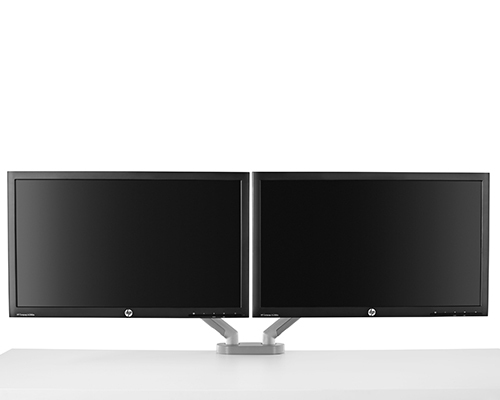 Flo Plus Dual’s sturdy crossbar and handle design allows two screens to move efficiently and precisely as one. 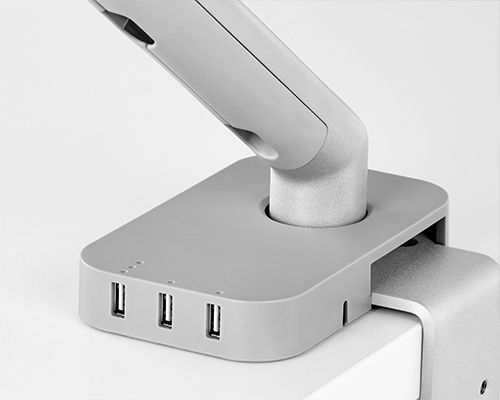 Flo Power Hub allows you to efficiently charge devices yet the small size fits perfectly at your desk leaving your workspace uninterrupted. 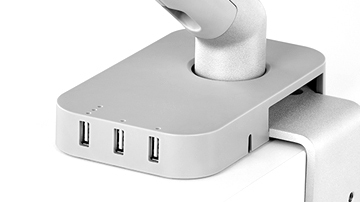 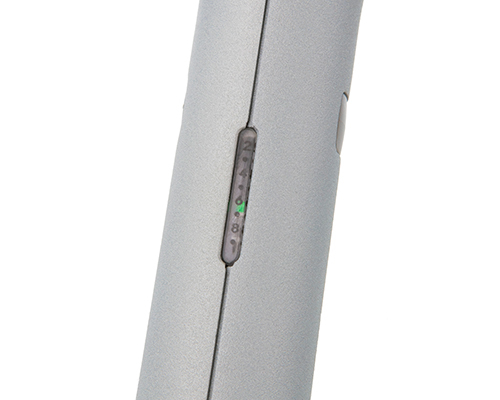 It has three USB ports, two conventional, 1-amp standard charge and one 2.4 amp for an increased, faster charging option. 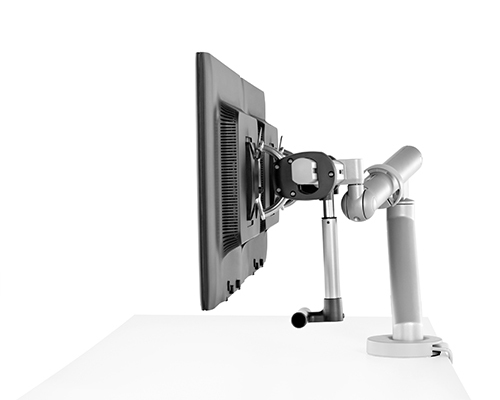 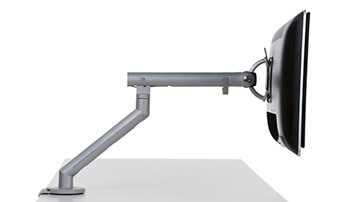 Similar to the Flo monitor arm, this version offers horizontal adjustments to alter the height, tilt and focal length. 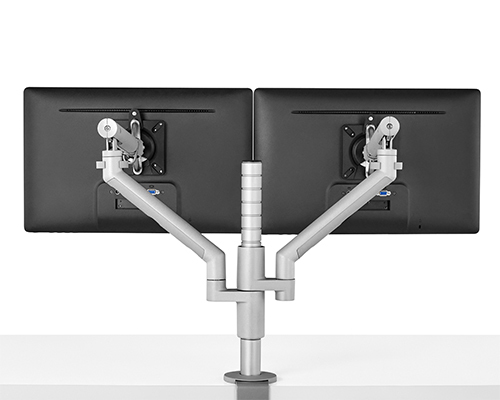 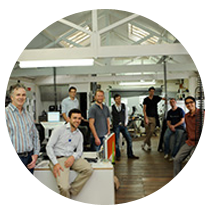 Designed by Colebrook Bosson Saunders, a team of award-winning international designers and manufacturers, the Flo monitor support range has been designed to be highly supportive, ergonomic, effectively adjustable and efficient within a dynamic workspace. 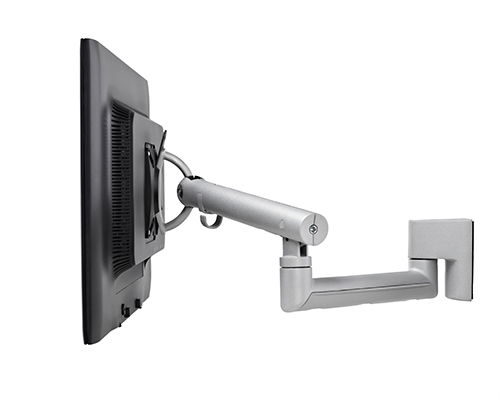 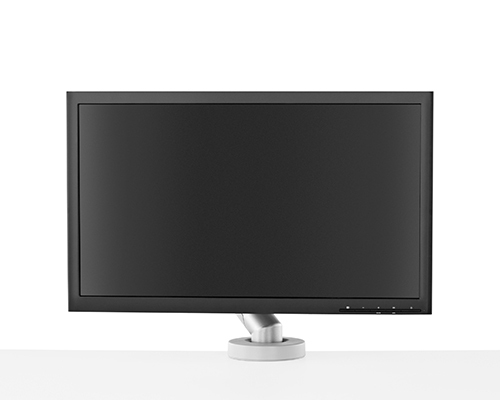 Compatible with a variety of monitors, touch screen monitors, laptops and devices the Flo range has won awards for its excellent product design: 2010 “Red Dot” award and supportive ergonomics: 2010 National Ergonomics Conference and Exposition;s “‘Attendees’ Choice” award.